Keeping yourself secure online can be difficult and expensive challenge. Here are the top 6 ways you can improve your privacy and security without spending a spent! There is a lot of debate on which is the best internet browser, however the overwhelming consensus is it’s not the default Internet Explorer that comes pre-installed on your computer. 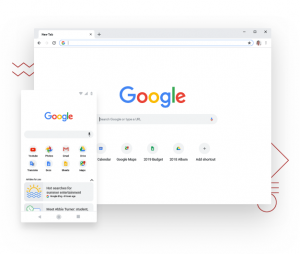 For the majority of people, we recommend using ‘Google Chrome’ due to it automatically updating itself, contains inbuilt phishing and malware protection, ‘sandboxing’ to prevent malicious webpages infecting the operating system and it having great plugin support. Google has come under fire by privacy advocates due to the interconnectedness of their services which can track your browsing habits and sync it back to your Google Profile. While this can be perceived as both a good thing for convenience and a privacy risk some users may prefer to use a more neutral browser. Firefox is a fantastic alternative and may run faster on older computer with minimal amounts of RAM. Internet ads and popups are one of the most common ways to get malware on your computer, either by injecting bad code into the webpage or trying to trick the user into downloading an infected file often posing as a required ‘Software Updates, Video Codec or font-pack’. The practice of blocking ads is often frowned due to it depriving content creators of potential ad revenue, but even Google who’s primary income is online advertising has admitted “intrusive” ads are a real problem who subsequently integrated a basic adblocker into Chrome. 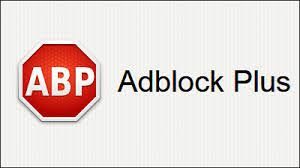 As a compromise most ad-blockers have a ‘acceptable advertising’ option which allows validated advertisements through the filter which has been seen as a win-win for both security and content creators. For additional privacy, Adblock Plus can also be set to block tracking scripts. This helps protect you from being tracked across the internet by advertisers and by social media companies. You’ve probably been bombarded over the years to always look for the padlock icon when doing sensitive tasks like online banking to ensure the connection is encrypted. ‘HTTPS Encryption’ is now the de-facto standard and an expectation for all sites on the internet. The ‘HTTPS Everywhere’ plugin forces websites you visit to use encryption if possible, even if the website doesn’t default to the securer version. This increases your privacy when browsing and ensures sensitive information isn’t exposed to anyone monitoring your connection. Weak and reusing passwords on multiple sites are two of the leading causes of accounts been compromised. Remembering unique and strong password for each of online account is near impossible, which is the main reason so few actually do use secure passwords. Password managers have come along way in recent years and take the stress out of remembering passwords. A good manager will automatically generate a complex password, securely save it, sync it on all your devices and even auto-fill it back into the website when required. You just only need to remember one strong password. 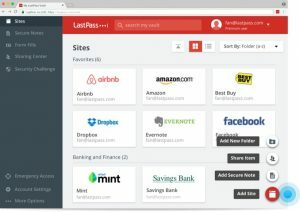 Lastpass: online password manager built into the browser and syncs to mobile devices. 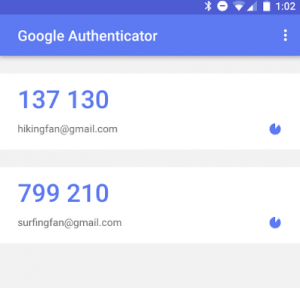 For important accounts like banking and social media, 2 factor authentication can be enabled to give another layer of protection if your password gets compromised. This means if an attacker has your username and password or access to your emails to perform a password reset, they will also need access to your mobile phone to get a login code. While a seemingly simple extra step, it greatly increases the difficulty for the attacker as they need to compromise your phone which typically is much harder to do. An important step in keeping yourself secure online is knowing if your credentials have been compromised. ‘HaveIBeenPwned’ allows you to enter your email address to check if your account details have been publicly exposed by a databreach. If your details have been leaked, the service will tell you what site was breached, and what details may have been exposed. For example Adobe’s breach in October 2013 which exposed the ‘Email addresses, Password hints, Passwords, Usernames’ for over 153 million users. Should you unfortunately find yourself on the list you should immediately change your passwords, particularly if you use them in more than one place. For additional protection you can subscribe to ‘HaveIBeenPwned’ and they will send you an email if your account is ever exposed. What things do you do to stay safe online?